Again, great job. Just hope this is the final fix..... Not the fault of company. But of refrigerator. Love fridge, but am really starting to think it's a losing cause. For as many service calls as I've had, I could had a new fridge and it would been less money. 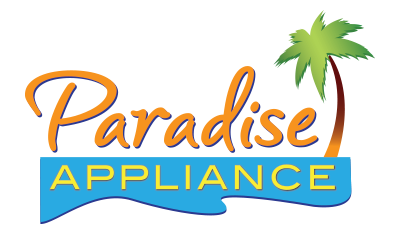 I greatly appreciate the prompt service and the things Preston told me about the appliance repair so I won't be ignorant about things that can go wrong with it. He was so helpful and really kind and patient with my questions and concerns as well as the photos I took of the work he was doing. The repairman was knowledgeable and fixed the problem right away. Technician was great, but my ice maker is still not working. He put a new mechanism on, but think the unit needs to be put to rest and a new one put in as I had requested. Excellent serviceman!!!!! !Service tech was clean, courteous and on time. Also had a great personality, and put my refrigerator back perfectly. RANGE WHIRLPOOL WFC310S0EW1 "recieprical was burnt up ordering replacement dor that and heating element; ordrng 1 814399 (receptical,surf.unit) and 1 WPW10259865 (elmnt-surf)"
REFRIGERATOR WHIRLPOOL WRF954CIHM00 "all thermistor showe off, replaced main board." DRYER / WASHER WHIRLPOOL LTE5243DQB "not filling. turned dryer on and washer started to fill. checked wire harness for loose connections at motor, timer, water valve,pressure switch, and power cord. ran washer through quick wash and unit is working ok."
DRYER / WASHER WHIRLPOOL LTE5243DQB replaced timer and tested for correct operation on normal cycle. FREEZER KITCHENAID KRSF505ESS00 "Not cooling, leaking freon, replaced the compressor was going to replace the evaporator for refrigerator and found a leak on the refrigeratoe suction line, unable to repair leak is to close to inner liner, called tech line #772441781"
WASHER MAYTAG MVWC565FW1 "found f-7 e-6 & f-7 e 7 motor unable to reach target speed error, inspected drive system & motor, was unable to verify complaint, advised cust"
REFRIGERATOR WHIRLPOOL WRT318FZDW05 it was 11 and 42 deg. re-set to the highes temp. WASHER MAYTAG MVWB765FW1 "replaced broken door lid for not locking at start issue, ran test working ok."
WASHER MAYTAG MVWB765FW1 "found broken lid at left hinge, needs new lid ordering lid switch just in case; ordrng 1 W10810403 (lid lock assy) and 1 W11259006 (lid assy)"
DISHWASHER IKEA IUD8555DX1 "removed small piece of glass from drain pump, ran test working ok.5yr wananty parts labor"
WASHER WHIRLPOOL WTW4950HW0 checked suspension and feet. ran and tested unit for normal operation.in spin cycle. found normal; vibration/noise in spin. DRYER WHIRLPOOL WGD5700VW0 "replaced broken drum belt & rollers, ran test working ok; used 1 4392065 (repair kit) from stock"
DISHWASHER AMANA ADB1400AGW1 DRAIN PUMP NOT PUMPING-REPALCED NOW DRAIN FINE. DRYER WHIRLPOOL LTG5243DQ6 "removed lint from inside dryer on near gas burner assy causing burn smell, washer tested no issues found working ok. auth#WIS7B00EL1"